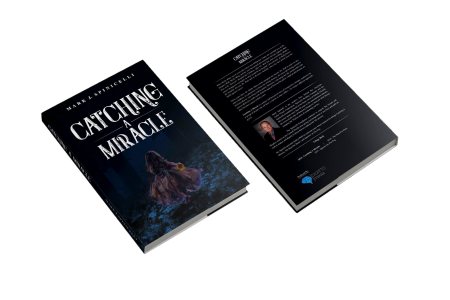 The Catching A Miracle series of novels are an engaging story of a world where the will to cure disease is stronger than the corporate need to improve treatments. Author Mark J. Spinicelli creates a vivid world of doctors, U.S. Marshalls, F.B.I agents and everyday people who are all determined to seek out the secrets of the unknowable. 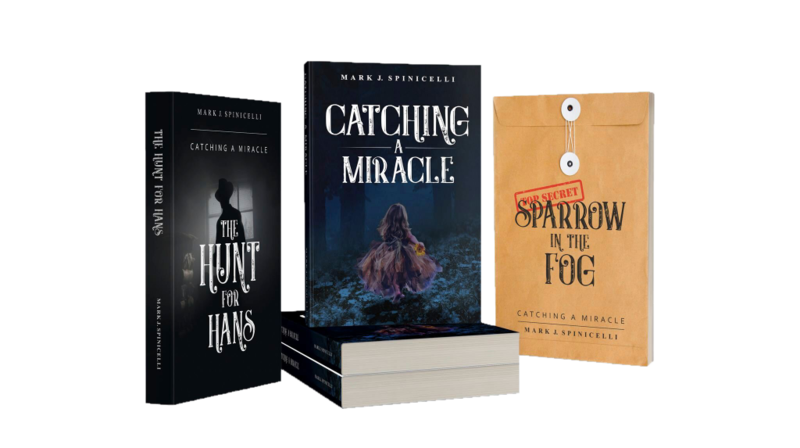 The three-part Catch A Miracle series of novels envision a world where no obstacle can stop the resolve to cure the incurable. Catching A Miracle is an inspirational novel about the will of the human spirit to seek answers to the unanswerable. Prepare to be immersed in this non-stop thriller as a doctor takes on a personal mission to cure cancer on her own terms. 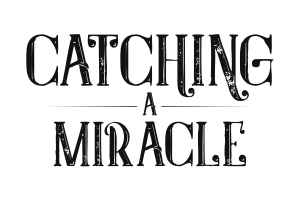 The first installment of Catching A Miracle Is On Us! If you like our story, visit us again! 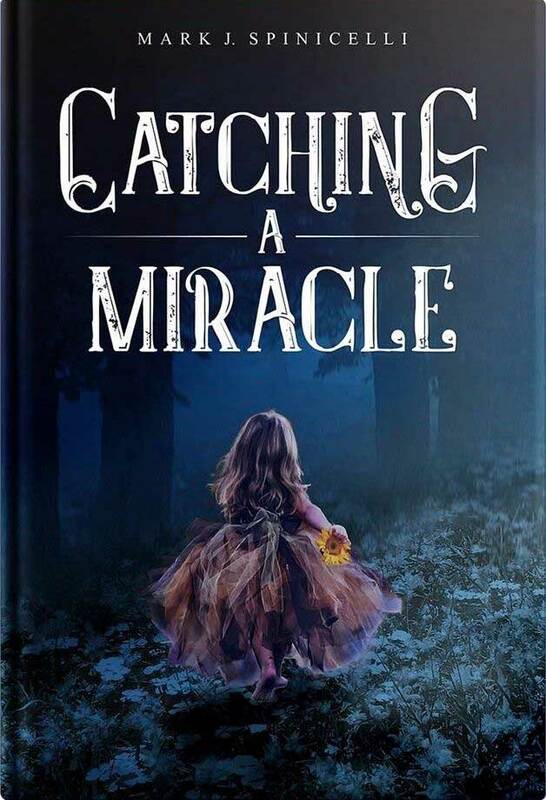 Catching A Miracle is an uplifting and inspirational novel about the will of the human spirit to seek answers to the unanswerable. Prepare to be immersed in this non-stop thriller as a doctor takes on a personal mission to cure cancer on her own terms. Dr. Shelly White races to find a cure for cancer in a corporate driven world more focused on treating symptoms. After miraculously surviving her own terminal diagnosis of cancer as a child, Dr. White develops a no-excuses-allowed conviction to find a cure. Allying herself with advertising executive Nicholas Harris, Dr. White begins private fundraising to find a cure. However, Dr. White learns that her efforts will be constantly blocked by constant political obstacles. Soon, Dr. White and Nick Harris discovers that they will need the help of a missing scientist to find a cure, a missing scientist whom the NSA and the CIA has been chasing for decades. Now Nick Harris will turn to the one man who knows how to open doors including the one to the oval office of the President of the United States, Col. John “Hack” Taylor. Dr. White will truly learn whether the world wants to cure Cancer or kill the one man who has the answer. Book 1 of 3 in the Catching A Miracle series. WHERE IS THE MAN WITH THE CURES FOR THE WORLD? 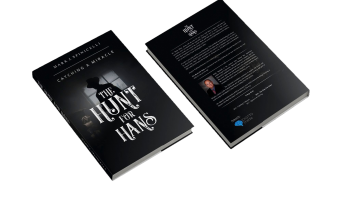 The Hunt for Hans is the continuation of the suspense that began in Catching a Miracle. After finding a cure for cancer, Dr. White and Nick are lauded for their efforts. However, they soon learn that their cure is imperfect. They must enlist the help of a scientist who has been missing for decades, and sought after by the NSA and the CIA, to perfect the cure. Dr. Shelly White, her team of specialists and Nick Harris all develop a cure for cancer. The entire world celebrates the eradication of the disease. Dr. White and Nick begin a family and plan their future. However, their new adopted 6-year old daughter Mary who they saved from cancer months earlier develops a new untreatable form of cancer. The cure developed by Dr. White team is missing elements that make it work. Dr. White and Nick call in a favor from the President of the United States. The president has information on a man known as Dr. Hans Bextal who may be able to perfect the formula. Unfortunately, the NSA and the CIA and other international government agencies, have been searching for Dr. Bextal for decades with no luck. Meanwhile, the drug industry related to cancer treatment is shaken to their foundations in the wake of a cancer cure. Even an imperfect cure has all but wiped out their profit-making potential. As Dr. White and Nick race to find Dr. Bextal, a drug executive bankrolls a termination hit on the missing Dr. Bextal should he surface. Now a team of U S Marshals and the FBI all lead by Col John “Hack” Taylor must find the elusive Dr. Bextal to save Mary’s life and the rest of humanity. Book 2 of 3 in the Catching A Miracle series. Mark J. Spinicelli has over three decades of experience working in the entertainment industry. 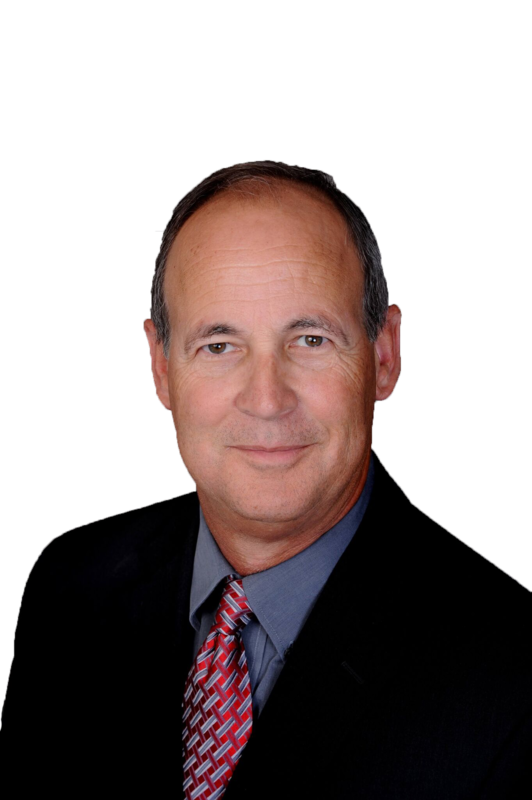 Mark has been the CEO of Orlando based American Audio Visual Corporation since 1989. After losing several relatives to cancer, Mark focused his efforts into researching how a cure for cancer can be realized in our time. Mark harnessed all of that research into the Catch A Miracle novel series. The novels are written by Mark to mirror his own hope of seeing a real-world initiative to end cancer. WHO CLASSIFIED THE CURE FOR ALZHEIMER’S? Sparrow in The Fog is a politically charged espionage thriller about the suppression of beneficial medical research by governmental powers determined to maintain the status quo, and the U.S. marshals determined to seek out those secrets at any cost. In 1972, the cure for Alzheimer’s was discovered. It was mistakenly believed at first to be a cure for cancer. This information was put into the, “Silver Sparrow,” dossier. Dr. Hans Bextal handed the Silver Sparrow dossier to Dr. Alan Stevens, a high-ranking NSA officer. 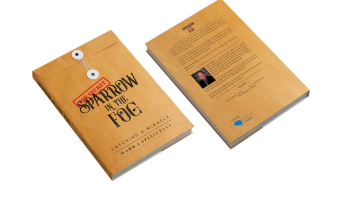 The Silver Sparrow dossier then simply disappeared. Meanwhile, several world government agencies, including the NSA and the CIA issued multiple kill orders against Dr. Bextal in the ensuing decades. Constantly hunted by government operatives, Dr. Bextal went into hiding. Col. John “Hack” Taylor under presidential orders begins a special operations mission to find out why Dr. Bextal was targeted for termination and what happened to the Silver Sparrow dossier. Col. Taylor and his team of U.S. Marshals along with the FBI have only two weeks to uncover the mystery of Dr. Bextal, find Dr. Stevens and reveal the contents of the Silver Sparrow dossier before its secrets disappear forever. Book 3 of 3 in the Catching A Miracle series. Mark J Spinicelli is the CEO of the American Audio Visual Corporation in Orlando, Florida which he founded in 1989. He has worked extensively in the entertainment industry for the last 35 years and holds a Ph.D. in common sense.